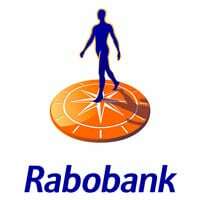 Dutch bank Rabobank is set to commercially launch an NFC mobile payments service in the Netherlands next year. Rabobank customers will be able to apply for a payment card online and have it sent securely over-the-air to their NFC phone by technology provider Giesecke & Devrient, which is acting as the bank’s trusted service manager (TSM). Rabobank is is still in the process of deciding on whether to use an NFC SIM card or a phone’s embedded secure element to store customer’s payment credentials, the bank told NFC World. The bank has been testing NFC payments as part of a group pilot project with other Dutch banks in the city of Leiden. That trial has now been extended to run until 1 January 2014, following a higher than expected uptake of the service with 15,000 transactions being made in the trial’s first 90 days and the number of participating merchants rising to 250.